We know hackers and preservationists are staunchly opposed to Vornado’s 15 Penn Plaza, because the 1,216-foot Pelli Clarke Pelli-designed tower would replace McKim Mead & White’s notable-if-not-renowned Hotel Pennsylvania. Anthony Malkin, president of Malkin Holdings, is also not a fan for the simple reason that Malkin Holdings is holding the Empire State Building. 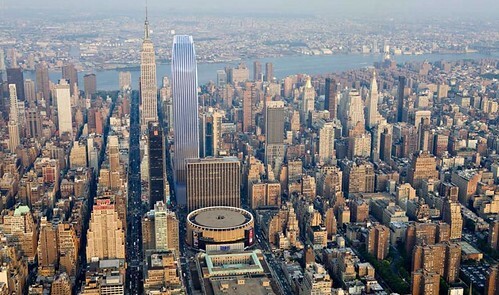 And its views would most likely be compromised by 15 Penn Plaza. 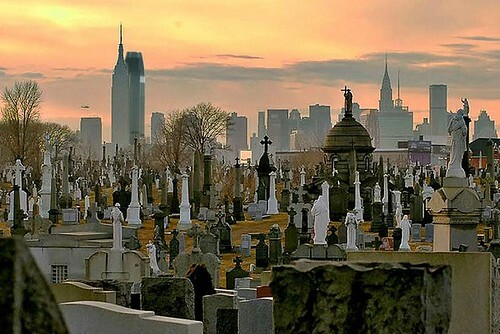 Malkin is now speaking out against the project, under the aegis of a group calling itself Friends of the New York City Skyline, a posse which also includes MAS, the National Trust for Historic Preservation, and the Landmarks Conservancy. It may be too little, too late. Amanda Burden and the City Planning Commission already gave their approval in July, calling it “precisely the type of well-designed…office building that New York City needs to stay globally competitive.” Still, hoping to head off a vote on Monday at the City Council, Malkin and his Friends have sent around mawkish renderings and a statement (below) about everything that’s wrong with this building and how it could ruin the city. 15 Penn Plaza and the Empire State Building, with Hudson Yards in the foreground—hey, won’t that ruin the view, too? Currently 15 Penn Plaza is 42 percent bigger than current zoning allows, with no setbacks, but at the same time, as garish as it looks in these renderings, it also shows the dynamic way in which our iconic skyline is always changing. Just think of the thrill you get looking back at old pictures of the city and comparing them to today. Even monstrosities like the Trump Wold Tower across from the U.N. look half-decent in this context. To build is to survive as a city and it’s good to know that, for better or worse, there are no sacred cows. After all, these were some of the same groups who complained when Burden cut Nouvel’s MoMA Tower down to size. Significantly, the tower is in Council Speaker Christine Quinn’s district, and she is an avowed friend to developers: Tenant or no tenant, building is in the cards. Will Midtown ever be the same? “The Empire State Building is the internationally recognized icon on the skyline of New York City. We are its custodians, and must protect its place. Would a tower be allowed next to the Eiffel Tower or Big Ben’s clock tower? Just as the world will never tolerate a drilling rig next to The Statue of Liberty, why should governmental bonuses and waivers be granted to allow a structure as tall and bulky at 15 Penn Plaza to be built 900 feet away from New York City’s iconic landmark and beacon? We believe that the public approval process to date for the proposed 15 Penn Plaza has failed to address the interests of New Yorkers. The City Charter did not create the ULURP process so as to provide a speedy approval for a speculative office tower for which there is no planned commencement. The Developer’s Environmental Impact Statement at first ignored, and then (by last minute amendment) gratuitously denied, any impact on the largest landmark in New York City from the proposed 1,200 foot tower to rise at some unspecified future date on the present site of the Hotel Pennsylvania. The people of New York City have already made their sentiments clear: Community Board 5 voted down this proposal 36 to 1, so the only hope for protection of this public legacy now sits with the City Council. 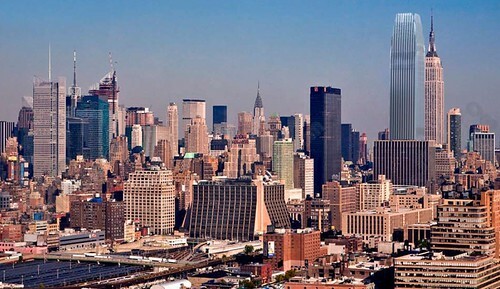 There may be buildings taller than the Empire State Building. But no building so close to the Empire State Building should be allowed through discretionary official exceptions to be as bulky and tall as 15 Penn Plaza. The height and bulk of 15 Penn Plaza are the result of waivers and bonuses greatly in excess of code. Another waiver granted 15 Penn Plaza the right to build without setbacks. At only 67 stories, 15 Penn Plaza would be as tall as the 102nd floor of the Empire State Building, and would, if built, be as much a scar on the complexion of New York City as the loss of Penn Station.